According to the UN Refugee Agency (UNHCR), 2014 was the worst year on record for refugees since World War II. Refugees and displaced persons worldwide now number 59.5 million individuals. These people have been forcibly displaced because of persecution, conflict, civil unrest, genocide or human rights abuses. 2014 saw 13.9 million individuals newly displaced, but only 126,800 refugees returned to their countries of origin, the lowest level of refugee returns since 1983. But we don't need the UN to tell us that the refugee crisis grew to epic proportions in 2014. HIAS need only look in our offices around the world or the front page of the newspaper for stories about millions of people forced from their homes because of violence in Syria, Iraq, Ukraine and Afghanistan, and conflict in sub-Saharan Africa and Southeast Asia; boat migrants, fleeing ethnic persecution in Myanmar and left adrift - and dying - at sea; humanitarian crises in refugee camps where conflict is preventing aid agencies from delivering food, water and medicines and camp residents are going hungry. Yet even with these huge, and growing, numbers of refugees and displaced persons, countries are making it more difficult for people to seek asylum, or are shutting their doors outright. And while the number of refugees in need of resettlement has been soaring, the U.S. Resettlement ceiling has been stagnant for over a decade, and is half the number that it was 20 years ago. In the context of these extreme challenges facing refugees around the world, HIAS' work is more important than ever. We are the only Jewish organization with the mission to assist refugees; our Jewish values and historical experience of forced migration compel us to help refugees find safety and freedom and enable them to regain control of their lives. In 2014, we refused to be overwhelmed by the overwhelming needs of the world's refugees. We responded overseas quickly and efficiently. In Ukraine, we now have 130 staff working to ensure legal protection for the growing number of internally displaced persons — thousands of whom are Jews — who have fled the Russian incursion to Crimea and the ongoing armed conflict in the Southeast. And in Kenya and Uganda, we have helped thousands of refugees fleeing violence and persecution in nations across East Africa by providing counseling, short-term financial assistance, and home visits to assess safe living conditions, especially for women, children and LGBTI refugees. We responded at home. We resettled 3,490 refugees from 52 countries in 25 communities across the United States, an increase of 11% over 2013. We have helped these people find housing; we provided financial assistance so that they could buy clothing and groceries; we connected them to doctors and schools; and we familiarized them with American customs and culture to help them integrate. And we responded with advocacy. We are leading the effort in Washington to rescue the US Refugee program, which has become mired in bureaucracy and security checks. We also successfully led the American Jewish community’s advocacy efforts to extend the Lautenberg Amendment, which provides the only safe and legal pathway for Jews and other persecuted religious minorities in Iran and the former Soviet Union to come to the U.S. as refugees. 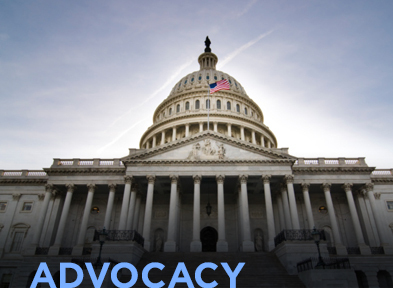 We recognize that our advocacy efforts, both here and abroad, are growing in importance. We're working to increase the number of refugees allowed to enter the US every year and to improve and expedite the asylum-seeking process, and we are pushing the international community to provide additional resources to help the ever-growing number of refugees. As this work has become more central to our mission to protect and support refugees, we decided in 2014 to relocate our Headquarters to Washington, DC, so that we have an even more constant and robust presence where US refugee policy is decided. At the same time, HIAS will not be leaving our historical home of New York City, but will be deepening our presence and finding new ways to engage the Jewish Community in the critical work of supporting refugees, here and around the world. 2014 was a terrible year for refugees, but thanks to your commitment, HIAS was able to continue helping refugees rebuild their lives in safety and dignity, as we have been doing for over 130 years. Thank you for your support in 2014 and today — as we work together to build a world in which refugees find welcome, safety, and freedom. HIAS is the oldest migration and refugee resettlement agency in the world. For over 130 years, HIAS has rescued people whose lives are in danger because of who they are. We protect the most vulnerable refugees, helping them build new lives and reuniting them with their families in safety and freedom. We advocate for the protection of refugees and assure that displaced people are treated with the dignity they deserve. And we do all of this guided by our Jewish values and history. The challenges for refugees and displaced persons grew significantly in 2014, and HIAS -- responsible for bringing more than 4.5 million refugees to freedom since our founding in 1881 -- responded quickly, expertly, and compassionately. In 2014, HIAS assisted more than 390,000 refugees and displaced persons in 12 countries. In Chad, we provided trauma counseling, child protection services, food distribution, and livelihood skills training to 277,000 Darfuri refugees in 11 refugee camps. We also worked to reduce the high incidence of sexual and gender-based violence in the camps, and offered programs to reduce conflicts with host community members from adjacent villages. In Ecuador, Venezuela, and Panama, we aided 68,000 Colombian refugees by providing orientation for new arrivals, counseling, short-term shelter, financial assistance, food vouchers, educational scholarships, and employment and livelihood programs. In Jordan, we sent a HIAS expert as part of a deployment with the UN Refugee Agency to identify and submit cases in urgent need of resettlement, thanks to funding from the Jewish Coalition for Syrian Refugees in Jordan. Through this deployment, 294 Syrian refugees from 61 families were provided the opportunity to rebuild their lives in safety and freedom. And in the United States, HIAS resettled 3,490 refugees from 52 countries in 25 communities in 12 states. In 2014, HIAS also advocated for critical changes to the U.S. government’s refugee legislation. 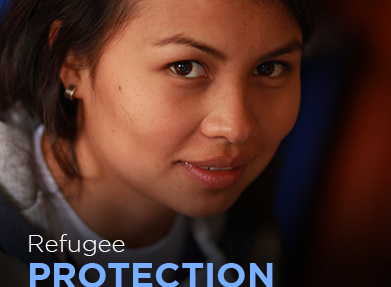 We supported the Refugee Protection Act, which seeks to modernize the U.S. Refugee Admissions Program, including lifting the arbitrary 12-month filing deadline for asylum seekers; we argued that Congress establish a contingency fund to support the growing mandate of the Office of Refugee Resettlement; and we supported the Strengthening Refugee Resettlement Act, which would streamline refugee processing abroad, create a White House coordinator to address refugee protection issues across federal agencies and allow refugees to be admitted to the U.S. as lawful permanent residents. Though achieving Congressional support for these bills is a challenge, HIAS continues to serve as a critical voice on refugee policy in Washington, DC. Chad: Over half of the refugees in Chad are women and children who have fled genocide in the Darfur region of Sudan. We are providing trauma counseling and social services in 11 refugee camps and sites in Chad, helping those who have fled persecution to rebuild their lives in safety and dignity. Learn more. Kenya: We provide services for particularly vulnerable refugees in Nairobi, Kenya, many of whom are survivors of torture and/or sexual and gender-based violence. Some of these refugees have left camps out of fear for their safety. Our focus is to provide a safe environment so they can heal and rebuild their lives. Learn more. Uganda: Some refugees in Kampala, Uganda choose to not live in refugee settlements because they fall outside of accepted social mores and are at heightened risk. We provide services for these vulnerable refugees, including women who've been separated from the men who usually serve as their protectors and survivors of torture and/or sexual and gender-based violence. Learn more. Austria: Religious minorities in Iran face many restrictions imposed by their government. Since 1983, our office in Austria has been the first stop for Iranian minorities who are seeking freedom and security in the United States. In partnership with the U.S. government, we operate a Resettlement Support Center in Vienna to assist these individuals. Learn more. Ukraine: In 2003 HIAS established an office in Kiev, Ukraine to provide legal protection services to refugees who have fled to Ukraine from more than 30 nations, primarily Afghanistan, Somalia, and Syria. We are the only refugee agency in Ukraine that refers resettlement cases to the U.S. directly. Since the start of unrest in Eastern Ukraine in the Spring of 2014, HIAS has increased staff and is working to aid the hundreds of thousands of Internally displaced persons who have fled their homes. Learn more. Ecuador, Panama, Venezuela: Thousands of Colombians have fled to Ecuador, Panama, and Venezuela to escape violence perpetuated by guerrilla groups, paramilitaries, and the Colombian army. We are advocating for better refugee policies in host countries and for increased resettlement opportunities in the United States, providing therapy to help confront the traumas these individuals faced at home, and providing vocational training and employment assistance to help them become economically self-sufficient. Learn more. Israel: In recent years, an influx of nearly 50,000 migrants have sought refuge in Israel from conflict zones across Africa, in particular Eritrea and Sudan. We are using our expertise to help Israel develop a humane admission system for refugees and asylum seekers that adheres to international legal standards and protects the security of the State. Our Rukin Fellows program, launched in 2014, helps train and mentor young Israeli legal professionals as they provide pro bono legal representation for asylum seekers. Learn more. Syrian Refugee Crisis: The conflict in Syria has produced the largest refugee crisis in the world, with half of the country’s population forced to flee since the conflict began. We are advocating for an increased resettlement quota in the United States, for the revision of laws that deny safe haven to these refugees, and for increased humanitarian aid from the international community. Learn more. United States: We are the only national Jewish organization to resettle refugees in the United States. We provide services for housing, support of basic needs, case management and orientation for refugees, and provide legal assistance for asylum seekers. We also advocate for increased funds for humanitarian aid, an increased resettlement quota in the U.S., and improved protections for children seeking asylum. Learn more. When war broke out in Nicia's* village in Boko, Congo, Nicia's family sought protection in the rebels' camp. However, instead of finding safety, one of the rebels approached Nicia's family asking to marry her. When Nicia insisted that she was too young at just 14 years, he sexually assaulted her. Typically, a woman in Nicia's circumstances would be married off to her attacker, but Nicia was clever and determined to avoid marriage. She convinced the rebel that she needed money to buy everything they would need for a life together. Then she escaped. The experiences of refugees like Nicia are all too common. Like other refugees who flee because of persecution, refugees who flee their home countries because of sexual and gender-based violence leave everything behind in pursuit of safety and freedom. 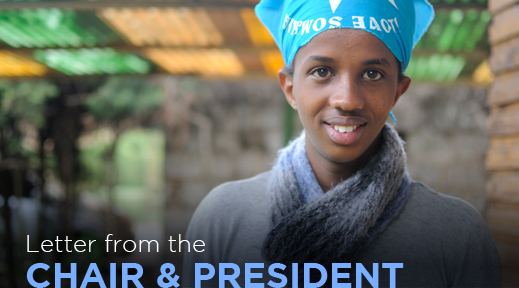 Nicia arrived in Nairobi, Kenya and a community leader connected her to HIAS where she was placed in our foster program. HIAS found a home for Nicia, and gave her money for school registration fees and a uniform, as well as a mattress, blanket, and bed sheets. Nicia is just one of more than 3,000 refugee victims sexual and gender-based violence that HIAS assisted in 2014. We help these vulnerable refugees in many ways. We provide psychosocial care so that survivors of sexual and gender-based violence, as well as other vulnerable refugees including survivors of torture, orphaned or separated children and persecuted LGBT persons, can recover from their experiences and restart their lives. We also offer livelihood support: in 2014, we provided entrepreneurship, vocational training and employment opportunities to more than 4,500 refugees.​ This support is crucial as it enables the refugees to become self-sufficient. Finally, HIAS offers legal support to particularly vulnerable refugees. In 2014, we helped approximately 2,000 refugees apply to countries around the world for resettlement, and we ensured that refugees who are detained and imprisoned understand their rights and the asylum-seeking process. Typically women and girls are seen as the victims of sexual and gender-based violence, but there is increasing awareness that other populations – older people, people with disabilities, male survivors and sexual minorities – can also be targets and are often overlooked in prevention and response efforts. In 2014, we authored a groundbreaking report, Triple Jeopardy: Protecting At-Risk Refugee Survivors of Sexual and Gender–Based Violence, released at the UN High Commissioner for Refugees’ Dialogue on Protection in Geneva, Switzerland. The report highlights the challenges to fully integrating all at-risk groups into sexual and gender-based violence programs, identifies protection gaps faced by these refugees and makes recommendations to help these refugees fully recover and rebuild their lives in dignity. Nicia says she wants to be a reporter because she believes telling people’s stories will help those who have suffered. In 2014 and today, HIAS is a proud supporter and protector of refugees like Nicia, and all those who are forced to flee their homes for reasons beyond their control. * Client name and other identifying details have been changed. The challenges for refugees do not end once they escape persecution and conflict. Indeed, safely making it to a new country is just one step on a very long journey. No one knows this better than Nadia Kasvin. Nadia Kasvin fled persecution in the Soviet Union in 1993. HIAS helped Nadia and her husband and young son come to the United States where they were able to reunite with family who had already found asylum here. Nadia never forgot the experience of having just arrived in the United States and the critical role HIAS played in helping ease the transition for her family. About a decade after she arrived, Nadia and her friend Tatyana Mindlina, a fellow former refugee from the FSU, founded an organization to help meet the needs of refugees and immigrants in Central Ohio which had become their home. In 2003, US Together was born in Columbus with funding from a number of organizations, including HIAS. In 2005, they resettled their first refugees - a Jewish family from Russia, and a family from Somalia - and expanded with offices in Cleveland in 2008, and Toledo in 2013. In 2014, US Together resettled approximately 700 refugees, from a wide range of countries, including Ethiopia, Somalia, Iraq, Syria and Ukraine. As the oldest resettlement organization in the world, and the only Jewish organization designated by the federal government to undertake this critical work, HIAS understands that providing a welcoming environment and adequate support to new refugees is essential. In 2014 alone, HIAS resettled 3490 individuals in 12 states. We manage this work with the help of partner social service organizations like US Together, located in 25 communities across the country. 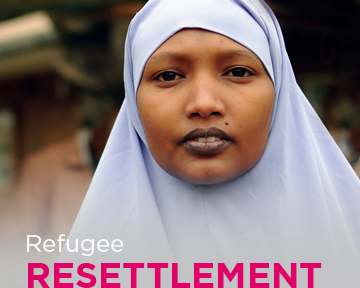 Our resettlement efforts range from providing new refugees with a place to live; offering short-term financial assistance for rent, utilities and clothing; connecting newcomers to doctors and schools; and helping them understand American customs and culture. Though typically we provide support for 3-6 months, we provide additional support for up to five years for the most vulnerable refugees. This can include employment counseling, English language instruction, and assistance accessing vocational training, medical care, and mental health counseling. Nadia Kasvin was recently recognized by the White House as a "Champion of Change," someone who has made a difference in the lives of refugees. At the White House event, Nadia participated on a panel about creating welcoming communities for refugees who are resettled domestically led by Mark Hetfield, HIAS’s president and CEO. She credited much of US Together’s success to its staff, the majority of whom are refugees and immigrants. She explained, "we have that extra something to share…that compassion and empathy and understanding of the refugee journey." HIAS continues to be a proud supporter of US Together and Nadia Kasvin's important efforts on behalf of refugees. What drives a child to flee their home and seek asylum in the United States, often traveling extremely far distances and leaving family behind? Many child asylum-seekers are trying to avoid forced recruitment to gangs and pervasive life-threatening violence. Alfonso* is no exception. Sixteen-year old Alfonso was born and raised in a rural village in Honduras in the heart of gang-territory. Following constant threats and gang recruitment efforts, Alfonso and his mother were desperate to put an end to the harassment. They filed a police report, knowing that this could lead to retribution. Days later, Alfonso was attacked by a group of gang members. He was stabbed as he fled. One week later, Alfonso took a bus heading North. Alfonso is part of a recent surge of child migrants fleeing gang violence in Honduras, Guatemala and El Salvador, and seeking safe haven in the United States. According to U.S. Customs and Border Protection statistics, in 2014 alone, more than 68,000 unaccompanied children were caught crossing the U.S. border. However, for these vulnerable children, the challenges do not end once they escape their violent homes and survive the dangerous journey to the Unites States. When he arrived at the border, Alfonso was detained by immigration officials. After three weeks, he was released to the custody of a cousin already living in the United States. He is now awaiting a court hearing that will determine his future. Like Alfonso, thousands of unaccompanied children who have fled horrific violence in Central America are in legal limbo in the immigration system, waiting to hear whether they can remain in safety or will be deported back to danger. Most of these children should be eligible for asylum, but under U.S. law they are not entitled to court-appointed lawyers and are left to navigate the complex immigration system alone. HIAS is leading a coalition of Jewish voices advocating in Washington for policies that ensure due process for refugee children, and provide government funding for their legal services. And we are providing referrals to medical, mental health and social services because so many who have escaped violence are suffering from trauma. Advocating for the rights of unaccompanied children is just one of HIAS' many efforts to support laws that protect the human rights of all refugees. We are dedicated to reforming the U.S. resettlement system, including simplifying the application process and increasing the resettlement quota. And we are pushing the international community to address the needs of the growing population of refugees across the globe. Alfonso is now living with his cousin in New York, attending school and learning English. Thanks to the legal representation provided by HIAS, he has applied for Special Immigrant Juvenile Status and we hope that a judge will appoint his cousin his legal guardian and will grant him legal permanent resident status. For unaccompanied children like Alfonso, assistance from HIAS is critical and is the difference between a one-way ticket home and a new life full of opportunity.